LOGIC Wellness is a power packed solution which caters to the needs of almost all business units in the wellness and beauty segment. The software spans its significance across various business types in wellness segments like yoga centres, beauty centres, spas, gyms, slimming centres, etc. The solution helps effective management of the centres and helps them take innovative measures to enhance profitability and branding. The solution also helps the units in dealing with rare inventories, perishable stocks and elite groups of customers, and managing multiple outlets to ensure best quality services at profitable prices. LOGIC ERP’s omni-channel retail software combines POS / Mobile POS, e-Commerce, CRM, fulfillment processing, inventory/warehouse management, purchasing and receiving, ERP and business intelligence – providing real-time visibility throughout your organization – in ONE single, integrated retail system.LOGIC ERP’s omni-channel retail software combines POS / Mobile POS, e-Commerce, CRM, fulfillment processing, inventory/warehouse management, purchasing and receiving, ERP and business intelligence – providing real-time visibility throughout your organization – in ONE single, integrated retail system. Feedback from clients/participants in a session. Unified & universal customers across all locations. xOur expertise in providing integrated ERP Software, Retail & POS Software to thousands of customers till date, helped them to meet their business goals. ERP solutions developed by LOGIC are characterized for its flexibility and scalability to aide in business growth of the customers in the time ahead. Cost-effective solutions that are designed for specific needs and verticals, help mid-sized to large business ventures to address issues, review business performances and assist in making strategic decisions to thrive in the markets. Q. What do you mean by ERP? Enterprise Resource Planning, a cross functional integrated system that assists you track, plan and manage your business well. This system integrates the whole functioning of the business and make it work as a single functional unit. It is a standard program to regulate different processes of an Enterprise system well. Q. 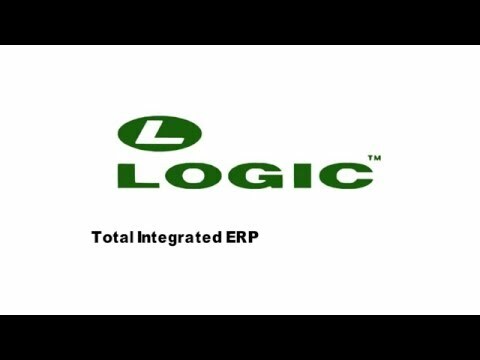 How LOGIC ERP is better from its competitors? What makes us better than our rivals is the different approach for different verticals and modules. We believe in dealing with the customer directly to provide the high quality services up to great folds. Our software is one-size-fit that is best fit for all. Whether you are a small company or a large-sized enterprise, we can serve you superior software with the best technical support available. Q. Is your Software scalable? How many users it provide? Yes, our software is completely scalable whether it is about database or demand according to the user. We offer users on the account basis. It is completely customizable too. Q. How long does an ERP implementation takes? Our implementation process is quite fast. The implementation can be affected by a number of factors that include customization, customer resource time, hardware & software availability at customer's end and Testing.